An HDB terrace in Jalan Bahagia was sold for a record high price of $1.19m. The resale market for Housing and Development Board (HDB) flats beat expectations with the 18.9% QoQ jump in HDB resale applications to 7,063 units in Q3, OrangeTee & Tie noted. In fact, the total number of resale transactions from Q1 to Q3 hit 17,462 which is a new five-year high. By end 2018, the total number of HDB resale transactions is expected to surpass 22,000 which will beat the record in 2013, the firm added. With the rise of resale applications, transactions involving million-dollar HDB units have pumped up as well, with over 52 flats divested from Q1 to Q3. In September, a 237 sqm HDB terrace located in Jalan Bahagia was priced at $1.185m which marks the highest transaction to date. Before the said transaction, a 5-room Bishan DBSS unit sold for $1.18b held the record as the priciest HDB unit transacted. 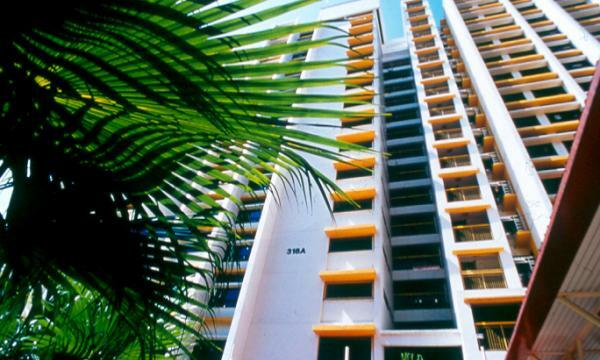 Meanwhile, a 5-room DBSS unit at Toa Payoh sold in August for $1.16m placed as the third priciest HDB transaction. Moreover, HDB resale flats sold from $700,000 and above reached a seven-year high of 1,438 units from Q1 to Q3 despite the general weakness in resale price hike, OrangeTee & Tie also noted. Despite this, worries arise regarding the value of HDB flats as HDB resale prices have dipped 0.8% in the first three quarters of 2018. Using the HDB resale price index, prices of HDB resale flats slipped marginally by 0.1 QoQ in Q3 2018. The research found that more resale deals were recorded in Q3 around non-matured towns. The most resale transactions were in Sengkang with 528 units resold, followed by Woodlands (516 units), Jurong West (505 units), and Punggol (469 units). “The resale market is more active in the non-matured towns possibly due to more flats reaching their Minimum Occupation Period (MOP) in recent years,” the firm explained. In matured estates, almost all towns saw an increased in HDB resale transactions when compared to five years ago. The largest increase of 119.7% was recorded in the Central Area whilst deals in Ang Mo Kio, Bukit Merah, Clementi, Kallang/Whampoa, Marine Parade, Pasir Ris, Queenstown, Serangoon,Tampines and Toa Payoh had between 20 and 35% increases.